If you're looking for the next challenge after a 1,000 piece puzzle we have the right fit! Our 1,500 piece puzzles feature some of the most famous artwork in the world, fascinating pictures from the animal kingdom, favourite places and views, a stunning fantasy world image and an intriguing historical map. 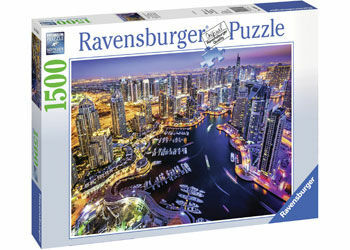 Look for more 1500pc Puzzles from our Places & Views Collection.